Politics and Astrology,Ways To Get Success In Politics, horoscope analysis for politicians, Birth chart study to be a politician. Astrology has shown its importance in every aspects of life. You can't ignore astrology advice in any field. Astrology shows the reality of your personality and also provide you the right solutions to overcome from your problems. Politics is a field which is very important from the point of view of persons who want to make it as a career. But not every person gets success in politics. The question is why every person do not get success in politics?. The answer is present in astrology. There are certain planets which helps to gets success in politics, if they are not strong in horoscope person will be unable to achieve the expected position. In this article we will find which planet and houses or horoscope are important for the political career and how to gain power to be a successful politician. Many times some important questions are asked from me related to politics such as how to get success in politics?, Is there any yogas in my horoscope to get success in politics?, How to give power to the planet related with politics?, What should I do to make career in politics? So here I am revealing all those points for the seekers. Let me clear one thing before proceeding further that politics is a field of serving the society. So don't take this career just to become millionaire. 10th and 11th house of horoscope are very important from the point of view of politics. If these houses have good planetary power then it is easy for the person to make career in politics. Politician is a person who has connections with almost every type of persons and work so from the point of view of astrology it is also said that for a successful politician it is necessary to have good powers of maximum numbers of planets in horoscope. Although the positions of sun, moon , dragon's head(rahu), saturn and Jupiter are important. 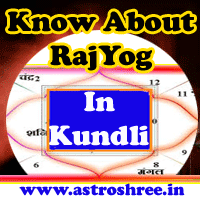 The strong positions of Rahu is very important in horoscope. If rahu support any person he can difinitely get success in this field. Saturn is related with public so if it has relation with working place of horoscope then person must be attached with any work related to public service. A politician must be a good orator and for this power of mercury is necessary. So in horoscope position of mercury must be analysed. With this if Jupiter also supports the person he will definitely be a good politician because Jupiter related with knowledge it helps the person to take correct decisions on the basis of knowledge. So it is not very easy to predict a successful politician. It is better to consult a good astrologer before choosing politics as a career. What Are The Ways To Get Success In Politics? As politics is a field where a person has to be very caution while working because now a days there are many hidden enemies who are trying to dominate a politician for their own interest.So a politician has to go with some powerful rituals. 1. Regular worship ancestors and Kuldevi, Kuldevta who are very closed and are always ready to show you right path. 2. Gems stones are also very helpful but before using them, it is good to consult a good astrologer. 3. There are some special yantras are also available which if you keep in office and home will generate invisible powers. 4. There are some special anusthaans of different lord and goddesses which provide tremendous powers to get success in politics. 5. Kawach also plays very good role to get success in politics. Because people also use black magic to dominate a politician so it is better to wear a kawach to work smoothly in this field. Yogas related to be a successful politician. Planetary powers to be a successful politican. What are the helpful gems to make career in politics? What are the rituals or anusthaans to get success in politics? What are the Totkays to get success in the field of politics? What are the yantras help to get success in the fielf of politics? So politics and astrology are very related. A good astrologer can show the path to get success in the field of politics.